Home › *dance › Martina Arduino in Ratmansky’s Swan Lake – a ballet star is born at La Scala? 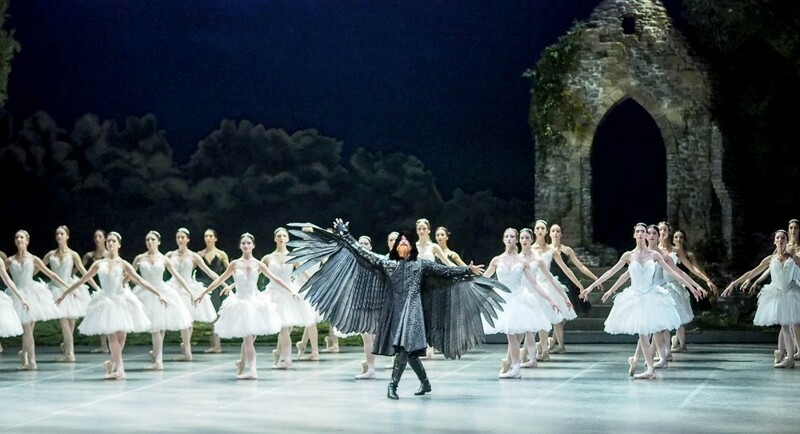 Martina Arduino in Ratmansky’s Swan Lake – a ballet star is born at La Scala? If you visit NASA’s website, they define a protostar as the “hot core at the heart of the collapsing cloud that will one day become a star”. 19-year-old Martina Arduino, who graduated from La Scala’s Ballet Academy just a year ago was entrusted last night, as her first ever principal role(s), with the Odette/Odile characters in Alexei Ratmansky’s new Swan Lake. She is not yet a star, but she’s certainly a protostar. While I would not suggest that the others on stage represented a ‘collapsing cloud’, Arduino was the hot core of the evening. She is lovely to look at, slender and graceful, and possesses a solid technique which, amazingly, took her through the complete ballet without any major problems. Yes, she travelled a lot during her 32 fouettés, and yes, her slow pirouettes at the end of the white swan pas de deux were a little hesitant, but I’ve seen many big names do far worse, and that was about it… the rest was all there. And – and this is a big ‘and’ – she danced the ballet without having had a stage rehearsal, it was the first time she’d performed with the rest of the cast, the sets and the lighting. Remarkable. She also meted out her energy to arrive comfortably (at least she looked comfortable) to the end. Not easy with no experience: during the last year she’s been playing various fairies and other soloist roles as well as dancing with the corps de ballet, where she is contracted just for the current season. I imagine that will change very soon. To pile on the pressure, this was no matinee for the schools but there were men in black tie and women in Armani who had paid full whack for their tickets. They got their money’s worth. La Scala’s gamble (and that of Ratmansky) paid off. As a protostar, the thing that’s exciting about Arduino is that so much is already firmly in place; if this is just the beginning…! She has a personality which came through readily as Odile, but also in Ratmansky’s very human approach to the final act where she evoked pathos as the heartbroken Odette. Arduino finds every balance without trouble, including after each of her turns in attitude during the ‘black swan’ variation (in this production there are black swans, eight, but only in the last act; during the third act, Odile is no swan). She has a soft, flowing port de bras, even when her legs are working overtime, like during the long series of échappés during the coda of the same pas de deux. Although she’s tall and willowy, her chaînés turns sparked and her manège sequences were perfectly with the music which is played up to speed, Tchaikovsky’s speed. In fact, her musicality lets the music underpin her dancing which makes every step more effective. At the end, she gives us heart which, I believe, you’ve either got or you haven’t got. Strangely, the general look of the corps has got a little raggedy in respect to the premiere, two weeks ago, and some of the others making debuts last night were a little rough around the edges too. Nicola Del Freo’s Siegfried was workman-like and he got the job done. His variation was executed with confidence and lands were firm but, as a prince, he’s not charming. All three in the pas de trois – Agnese Di Clemente, Daniela Cavalleri and Walter Madau – had some problems, though Di Clemente had many fine moments, and Madau showed off some masterful leg-work and light, suspended jumps. He played Benno, who I suppose would have been Siegfried’s best man if the romance hadn’t gone so horribly wrong, and did so with his usual eager enthusiasm. The four little swans – Stefania Ballone, Lusymay Di Stefano, Christelle Cennerelli and Denise Gazzo – were beautifully together with carbon-copied movements and even the dreaded heads where perfectly the same. The character dances of the ball scene challenge the dancers greatly and I hope it is something that they’ll eventually rise to. Just now, it’s not quite enough: not clipped enough, not tight enough, always seeming to lag behind the rapid pace of the music. 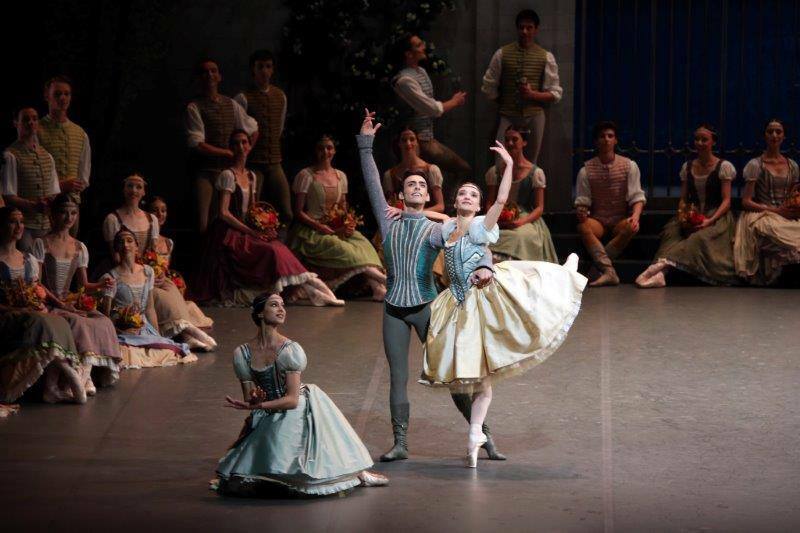 Of course, in Russia, there are specialists for this style of dancing, but the La Scala dancers came close. Mick Zeni doesn’t get to do much as Rothbart, but is always commanding in everything he does. And as for Timofej Andrijashenko – another dancer plucked from the chorus! – it was good to see the first night Siegfried back with the corps, as stated in his contract, and looking thoroughly pleased to be there, giving his all as one of the featured couples in the first act waltz. But, like Martina Arduino, I think his days as an extra corps member are numbered. Thank you, obviously i hope so! Thank you so much Graham Gramilano Spicer, for this wonderful review!!! Very much enjoyed your detailed, balanced, and sensitive review. I hope we get to see this production soon! I agree that Martina Arduino was really gorgeose as O-O. But Nicola del Freo was a good Prince as well. Walter Madau has light jumps with good elevation. I think he had a problem in the manege and had to stop doing revoltades and instead of them he finished with grand jetes. As a result he was so upset that his finishing tours were unsecure. But nevertheless – he was a wonderful Beno. The weak point of the production are the folk dances: especially the Polish and the Hungarian: they miss the style at all. Don’t you think that this production has very much in common with that of Sergeev’s for Sadler’s Wells? Elena Grell Yes! I love the ‘standing on the knee’ clip.In fact, Ratmansky underlines the fact that the Royal Ballet versions are the closest (until now) to the original. I’m sure that the Royal would dance this splendidly as they have the upper body movement in their training… it looked as though the La Scala dancers found it difficult to keep up with the changes in epaulement. At least, that’s how I saw it. I could understand that it’s not easy to forget everything you were tought through the years and to do it all in quite another way. Even Zakharova or Vishneva found it rather difficult. And I think that it’s probably intersting – to have a look in the past but the development of the ballet art can’t be ignored. Just like all those great dancers who contributed to it. The young dancers were brought up by the examples of Ulanova, Plisetskaya, Makarova etc. and now they have to dance in the way which is gone. As far as RB is concerned – how many dancers trained in their schooll do they have now among their soloists? Well, there’s the Italian Zucchetti who said (on the gramilano blog) that “In The Royal Ballet School the use of your upper body and the apparent ease when executing difficult steps are a key feature to the training. This makes you see steps more as a way to express something rather than bravura tricks, therefore it feels more “dancy” than academic.” I would certainly hate to see only this version of Swan Lake, but I think it’s refreshing to remember that the dancer’s palette can be enriched with other styles and positions (just like they do when a classical company tackles the contemporary repertoire, come to that). I always think that it’s a bit like the singer who uses the ppp sounds (maybe the lower leg, slightly curved) which makes the fff far more impressive (like the straight leg in the 12 o’clock position). A dancer with a larger vocabulary can be more eloquent. I would certainly go back and see this version several times, but don’t take away my Nureyev version either, though many criticised it for being too zany. Did you enjoy this Ratmansky version Elena? I enjoyed my evening in La Scala that day but I wouldn’t like to have only this version of SL and forget the old Moscow version by Gorsky and the Sergeev version of Mariinsky and the Grigorovich version, and the Burmejster version, and the first Nureev version which was restaged by Legris in Vienna. They all tried to find their answer to the great Tchajkovsky music and the wonderful deepness of the old fairy-tail. I think that this deepnes isn’t present in this reconstruction-imitation. There are a lot of pictures from Sadler’s Wells production – they all show the same scenes as in this production. There are some videos with Tamara Toumanova and a lot of that production was preserved in the previous productions of the RB. Madau was perfect on the 15th night 🙂 Small defaillances can happens to everybody, but he is a great soloist and he deserves to be nominated soloist and Fagetti too. He is a wonderful dancer but he wasn’t perfect that night – as you said – can happen. Who is Fagetti?